How many leaves are on a tree? You may have wondered about the answer to this question, but who has the patience to sit and count? Gather your students in groups around a tree (which they can reach) in the autumn and ask each group to estimate how many leaves are on the tree. Give them a time limit, as some students will insist on counting them. Talk about how estimates are the closest guess, based on observation, and how mathematicians refine their estimates through using more accurate means of estimations. To demonstrate this, have each group find a branch of the tree that they think has the average number of leaves. Then, have students count the leaves on that branch and compare their answers. Help them estimate the total number of leaves on the tree by multiplying the number of leaves on that single branch by the number of branches on the tree. Compare their answers to their original estimate, and have them discuss which one is probably a more accurate estimate. 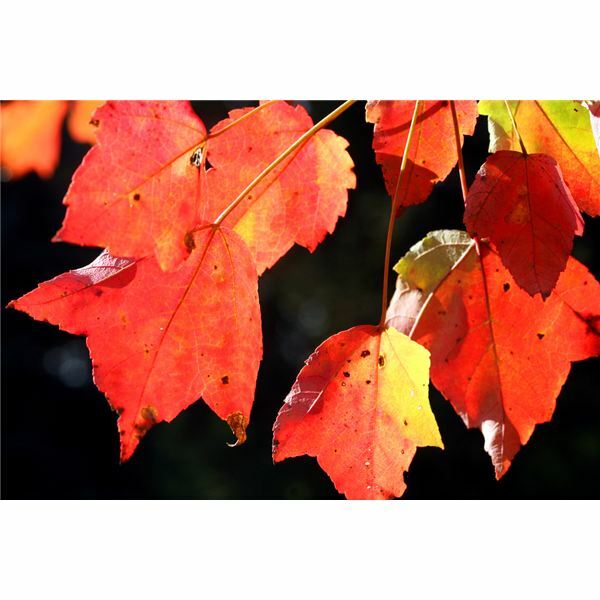 Use the autumn leaves to teach about symmetry. Have each student use a piece of graph paper to outline a leaf. Then have them use a second piece of graph paper to outline half of the leaf, then flip the leaf over and outline the same side adjacent to the original outline. When they finish, they should have an outline of a symmetrical leaf and an asymmetrical leaf. Use this activity as an introduction to the concept of symmetry. Older students can define symmetry and tell you if the leaf they have is symmetrical or not and why. If you’re teaching your students to record and graph information, autumn is the perfect season to do it. Go on a nature walk with your students one day, and have them collect a large pile of leaves. Then show them how to measure the leaves on a triple beam balance, or another scale. Place the leaves in an open container out of reach, and take it out once a week to reweigh the leaves. Your students will be surprised to see the weight of the leaves going down. Each week, insert the information into both a table and a graph. As the weeks go on, discuss what might be happening to the leaves. These activities will engage your students and help them connect what they’re learning to the real world outside. This series of articles contains ideas for elementary math activities. The articles span kindergarten to 6th grade, and they’re a great way to bring to life for your students.